A few weeks ago I returned from a trip to visit my sister in Sydney, Australia. 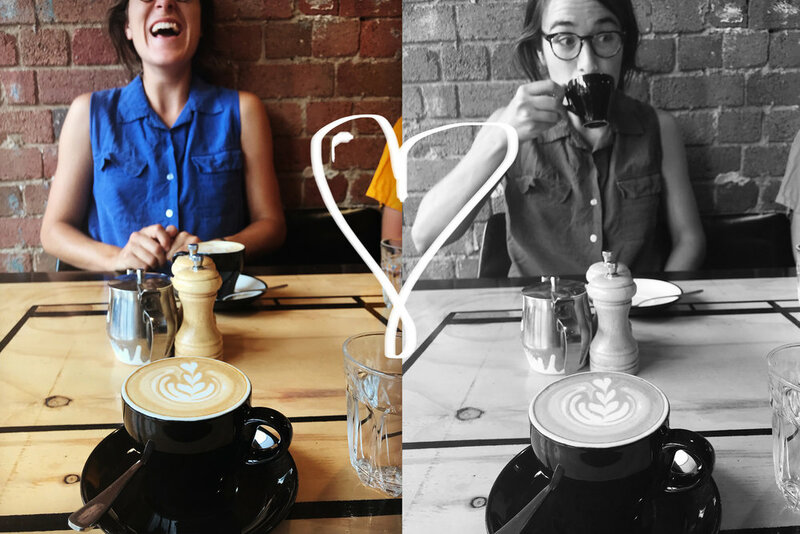 In the two months I was there, I clocked in some serious hipster cafe hours where I read books, wrote in my journal, and drank copious amounts of delicious coffee and chai. Although I have been working at the Pannikin for almost two years now, I haven’t been much of an espresso fan. This might have been some PTSD from a few bad experiences where I consumed some horrendous lattes and /or other milky messes, that made me feel sick and anxious for hours afterwards. Needless to say during my time working as a barista I have become far more open minded when it comes to coffee, thanks to Pannikin having some of the best quality beans around. Onwards~ Traveling tends to bring out my more daring, adventures side, which is why I find myself eating and drinking all kinds of weird things for the first time while I’m abroad. I felt compelled to try anything and everything while I was down under. Throughout my time in Australia I soon found it was almost difficult to get a bad cup of coffee. The standard quality of coffee and attention to detail was far higher than what I am used to in the States. For starters, the general size of coffee drinks are much smaller, with far less milk, and higher potency. I have experienced this before while I was studying abroad in brazil, where the standard size of any cappuccino was in an 8 oz glass. One thing I really enjoyed about this was that it made it more likely for people to order their drink “for here”, rather than take away. This not only keeps people from using disposable cups, but it also means people have to sit down for a minute and have a chat with a fellow human. It encourages a community where people come together to sip an espresso while having a conversation with their neighbor, instead of ordering huge latte in a hurry on their way to the office. Yuck. I also must add how spectacular the latte art was. Not only did the "flat whites" taste amazing, but the attention to those beautiful triple hearts and rosettas was heart warming. *btw a flat white is (usually) sort of like a small latte. A double shot of espresso served in an 8 oz cup (usually) with steamed micro-foam whole milk. This is pretty general as it changes depending on who you ask. Another highlight of my cafe tour was the way they served most chai drinks. 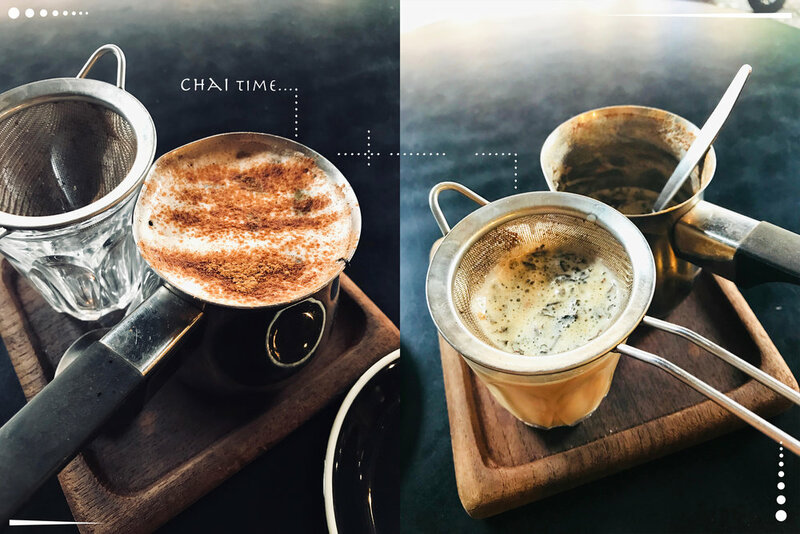 The masala chai and milk is actually brewed together and served in a separate pot, alongside a strainer which you use to strain the chai and milk mixture into your glass. This was a completely different experience for me, considering the standard for most chai lattes in the US consists of a very sugary mix of powdered chai that is then steamed with the milk. **Tess Plant Thomas and Joshua Bourke played a large roll in the making of these photos / introducing me to some fine small lattes while I was in Melbourne visiting them.